Programmed cell death is a mechanism that causes defective and potentially harmful cells to destroy themselves. 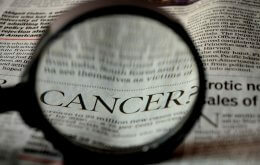 It serves a number of purposes in the body, including the prevention of malignant tumor growth. Now, researchers at Technische Universität München (TUM) have discovered a previously unknown mechanism for regulating programmed cell death. They have also shown that patients with lymphoma often carry mutations in this signal pathway. A team of scientists headed by Dr. Florian Bassermann at the III. Medizinische Klinik, TUM Klinikum rechts der Isar, has been investigating mantle cell lymphoma, a subgroup of non-Hodgkin’s lymphoma, which, despite new therapies, has poor patient survival rates. “Programmed cell death no longer functions in many lymphoma cells. This causes them to multiply uncontrollably. We urgently need to find out what’s going wrong in these cells in order to find new treatment therapies,” explains Bassermann. The scientists started analyzing samples of human mantle cell lymphoma in a bid to find errors in the DNA. They discovered a region that is mutated in almost 30 percent of patients. The scientists found that this region plays a key role in producing one particular enzyme, the ubiquitin ligase FBXO25. “We already knew that ubiquitin ligases are involved in breaking down proteins in cells. Now, however, we can show just how it contributes to the development of lymphoma,” explains Bassermann. “If there is a defect in the ubiquitin ligase, this mechanism no longer functions. The tumor cells in question do not destroy themselves and start growing unchecked,” continues Bassermann. The scientists also showed that cells with mutated FBXO25 displayed a much poorer response to chemotherapies, leaving the tumors in a much more stable condition. In a further finding, the researchers discovered other mutations in the cancer cells under investigation. In some cases, the very protein that keeps the cell alive was defective, carrying a mutation that made it resistant to destruction. Once this new signal path had been discovered, the scientists started working on a new therapy approach. They treated the cancer cells in such a way that they were able – once again – to create a functioning variant of the ubiquitin ligase. Instead of multiplying uncontrollably, the cells began destroying themselves again. “We need to zero in on the exact defect in a tumor cell in order to adapt therapies more closely to individual types of tumors – this is particularly relevant to the field of personalized medicine. Our findings show that this signal path for mantle cell lymphoma could offer a promising approach for new therapies,” concludes Bassermann. Baumann U., Fernández-Sáiz V., Rudelius M., Lemeer S., Rad R., Knorn A.M., Slawska J., Engel K., Jeremias I., Li Z., Tomiatti V., Illert A.L., Targosz B.S., Braun M., Perner S., Leitges M., Klapper W., Dreyling M., Miething C., Lenz G., Rosenwald A., Peschel C., Keller U., Kuster B., and F. Bassermann, Disruption of the PRKCD-FBXO25-HAX-1 axis attenuates the apoptotic response and drives lymphomagenesis, Nature Medicine, 20, 1401-1409 (2014).